Very Good in Good jacket. 4to-over 9¾"-12" tall. 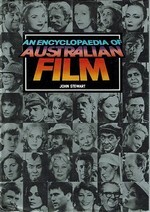 Contains thousands of interesting facts about Australian film and film-makers together with a chronological list of all major feature films made from 1900-1984 complete with cast-list. 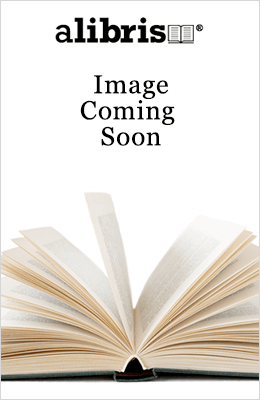 Some faint sunning to page edges else a clean large format hardback in an a d/w showing shelfwear & tear to top of spine-304 pages including index. Next post dispatch from the UK. Very good. FIRST EDITION with dust jacket plus owners stamp(s) / signature-will send out 1st class post. Used-Very Good. VG hardback in VG dustjacket. With B&W illus. A tidy copy in tight binding. Very Good in Very Good jacket. 4to. 304pp, index, num bw ills. Or blue cloth in jacket. Some minor foxing. Over 1000 entries on Australian folms and film-makers. Very Good in Very Good jacket. 304 pages. Book and Jacket are both in Very good condition throughout. There Are Over 1000 Entries Mostly Biographies Of Key Australian Film-makers Of The Past 88 Tears. Fine in Fine jacket. 304 pages. Book and Jacket appear to have hardly been read and are both in Fine condition throughout. There Are Over 1000 Entries Mostly Biographies Of Key Australian Film-makers Of The Past 88 Tears.